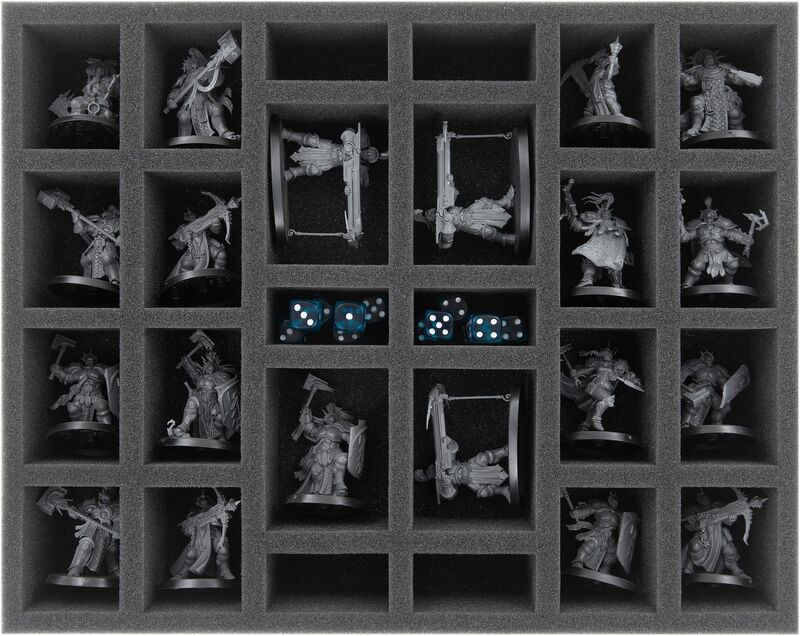 This Full-Size foam tray has 26 compartments for the safe storage of your Stormcast Eternals miniatures and accessories. 20 compartments are suited for standard warrior models, like the Evocators and Sequitors. 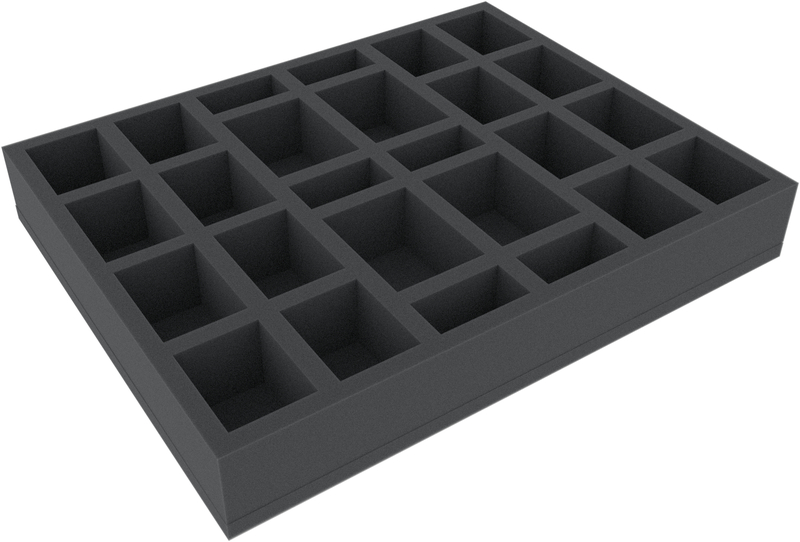 6 compartments will hold accessories like e. g. dice. 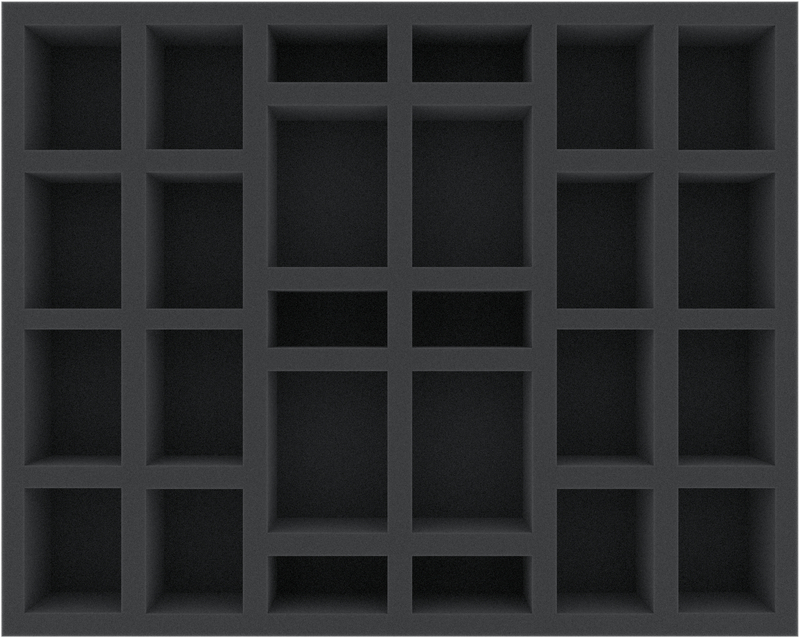 Gently caressed by fine-pored foam, your game material is optimally protected against breaking parts and scratches.